The actress will be recreating Madhuri Dixit’s Tezaab chartbuster for Tiger Shroff ’s next. From today, over the next three days, Jacqueline Fernandez will be setting the stage on fire with a special appearance in the Baaghi sequel, featuring Tiger Shroff and Disha Patani in the lead. The actress will be dancing to the tune of Laxmikanth-Pyarelal’s evergreen hit “Ek Do Teen” which bagged Alka Yagnik the Black Lady for Best Playback Singer (Female) while Saroj Khan was adjudged Best Choreographer by the Filmfare jury. 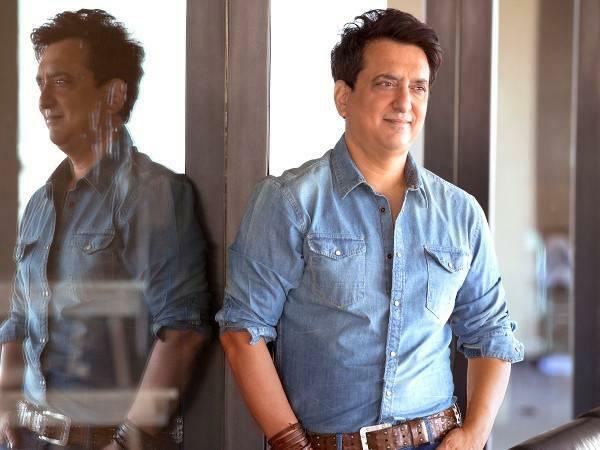 Three decades later, Ahmed Khan, who was Saroj’s assistant for a while from “Choli Ke Peechchey” and is now directing Baaghi 2, is recreating the song with her blessings. Ganesh Acharya who was one of the back-up dancers in the original, is choreographing the song. “There will be three choreographers on the set today, that’s a picture perfect moment in itself!” exults Ahmed, adding that the iconic song fits into the script perfectly. “It’s an all-time favourite and I have asked Ganesh to retain Sarojji’s famous hook steps and Manish Malhotra to keep Madhuri Dixit’s pink outfit in mind while designing Jacqueline’s costume. I want the same feel of the earlier song that still looms large on everyone’s mind and also the same vibe, with the crowds chanting ‘Mohini, Mohini’ as Madhuri takes the stage,” says Ahmed. Saroj Khan recalls that the crowds were not junior artistes but real people coming by the truckful to the sets every night through the nine-day shoot. She goes on to inform that the song was initially supposed to be shot in the Big Top of the Gemini Circus and they had even gone to check if the tent and stage were big enough for the shoot. But the idea was scrapped when Baba Azmi, the film’s DoP, pointed out that there were no rods to hang the lights. A set was built subsequently and lit up by Baba using HMI lamps (The Hydrargyum Medium Arc-Length Iodide globes represent the most advanced concept in modern lighting technology), a novelty at the time. Quiz the veteran choreographer on Madhuri who became an overnight star after Tezaab and “Ek Do Teen” and Saroj says, “It all happened a long time ago, all that I remember is that Madhuri was a trained in Kathak dancer but had problems adapting to Bollywood style latka-jhatkas during her previous film Uttar Dakshin. Being a dancer myself, I choreographed the song in 20 minutes flat, but Madhuri found it difficult to shake her hips the way I wanted. We had intense rehearsals for 17 days before the shoot and Madhuri would diligently practice from 10 am to 10 pm every day,” she flashbacks. On the 10th day the choreographer told Madhuri that she was ready and didn’t need to report for rehearsals anymore. But the actress insisted on coming for the remaining seven days anyway, quietly practicing in a corner. “Every day, for those 17 days, she was there and when it was time for “Action”, Madhuri was Mohini. Prod Ahmed on why he wanted Jacqueline to step into Madhuri’s shoes second time around and he points out that they have done a number of songs together in the past, from Roy’s “Chittiyan Kalaiyan” and “Lat Lag Gayi” from Race 2 to “Jumme Ki Raat” in Kick. “She’s the perfect choice,” he signs off.